Victor Emmanuel Daelo Carmelo Nadera Jr. is a Professor 3 from the University of the Philippines Diliman on secondment. 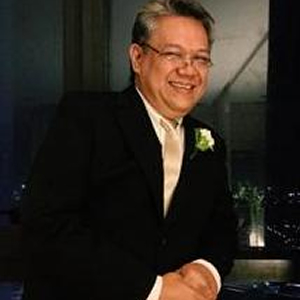 As the Director IV of the Philippine High School for the Arts, his programs and projects include Peryani Andres (2013); Makiling Inter-Cultural Arts Festival (2014); Arawng PHSA (2014), BayaningSining(2014) with The Outstanding Students of the Philippines Inc.; the Rice Awareness Project (2014) with the United National Educational, Scientific, and Cultural Organization (UNESCO); the electrification of the National Arts Center in Mt. Makiling, Los Baños, and the establishment of a PHSA Campus in Bay, Laguna..